Stepping inside a chamber with temperatures hovering around -135°C may feel like home to our Canadian friends, but for the rest of us, that’s bloody freezing. But would you be tempted to do it if you knew it offered all kinds of benefits to your body – including ones that are far from superficial? Better heart health – heart disease and cardiac problems are some of the biggest killers in the UK today, so keeping them at bay should be a top priority for everyone. Cryotherapy has been found to increase the amount of blood your heart pumps per beat and balance your blood pressure, as well as promoting hormone production to help stabilise heart function. Boosting antioxidants – randomised clinical studies have shown that when taken after exercise, cryotherapy can help increase the activity of important antioxidants in your bloodstream, tackling harmful free radicals that can do long-term damage to your health. Tackling joint pain – there’s plenty of evidence that patients with conditions like arthritis can seriously benefit from cryotherapy, not just helping relieve pain but also reducing the need for medication. For some people, these effects can last for as long as two months. Helping you sleep – you might think that going down to temperatures as low as -135ºC would wake you up, and you’d be right. But surprisingly, by boosting production of healthy hormones, it can also help you sort out your sleep cycle, in turn helping with the stress that comes with poor sleep and insomnia. 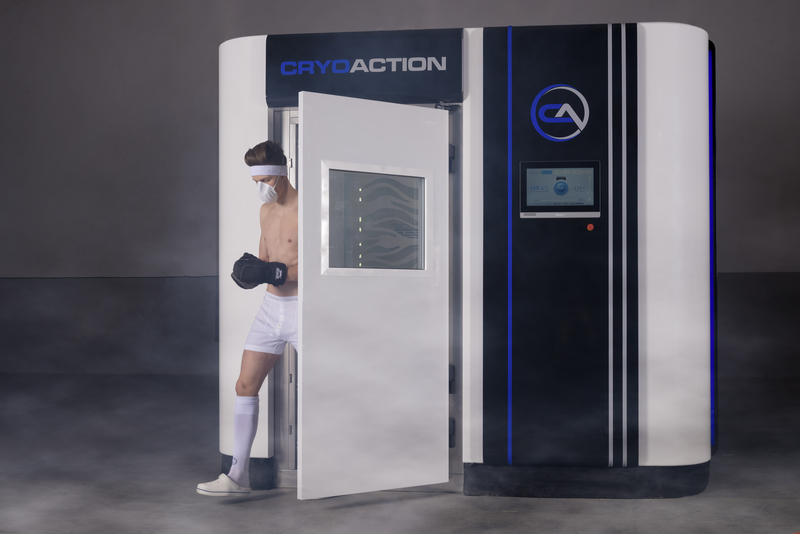 Keeping the blues at bay – the benefits of cryotherapy aren’t just physical. We tend to associate cold days with feeling down, but a session spent at far lower temperatures can do the opposite; plenty of cryotherapy patients report feeling far more positive and less anxious or depressed after just one session. So if you need a perk-up, a few minutes of intense cold could be just the thing for you. CryoAction Limited 2016. All rights reserved.